The long-running eatery is the jumping-off point for a day in the Big Woods, a duck hunting trip or an expedition to sight the elusive Ivory Billed Woodpecker. 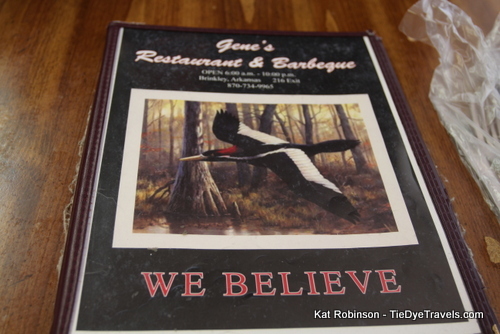 Gene's offers sustenance and some mighty fine tips before you head out into the world beyond. You cannot get closer to the center-point in the Arkansas Delta than Brinkley. 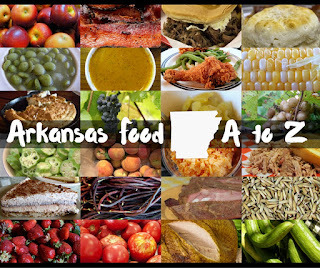 It's the halfway stop between Little Rock and West Memphis on Interstate 40 and the midpoint between Jonesboro and Helena-West Helena on US Highway 49. It is the crossroads. Gene's Barbecue lies at the center of that crossroads, not just by highway miles but by services rendered and goods offered. 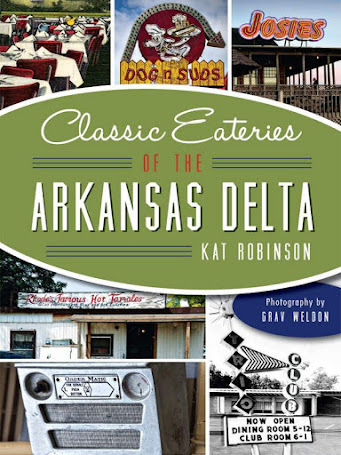 From the pickles on the counter to the catfish on the table to the celebrated offerings in the back room, you just can't get more Delta than this. time since LuJon's was around. 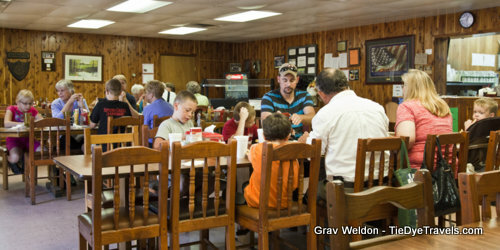 Gene’s started out as a place called Sweet Pea’s Pit Barbecue, opened in 1971 by Lewis DePriest. He sold the business to his brother Gene in 1994 and it’s been Gene’s ever since. In the fall and winter months the restaurant serves as a jumping off point for dozens of duck hunters. 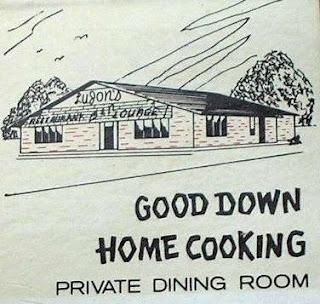 And in 2005, it became the go-to place for people who arrived in Brinkley before setting off into the Big Woods to find the elusive Ivory-Billed Woodpecker. 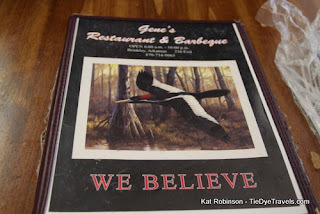 Gene’s has taken advantage of that mystery, and throughout the restaurant you’ll find images and stories about the bird, long thought extinct from this part of the world. 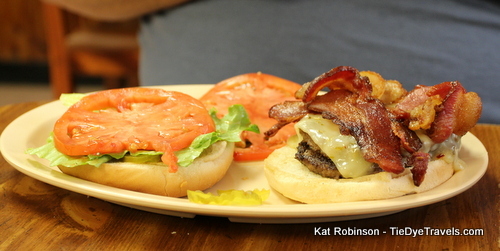 There’s even an Ivory-Billed Burger on the menu - with two patties of beef with bacon and mozzarella cheese. 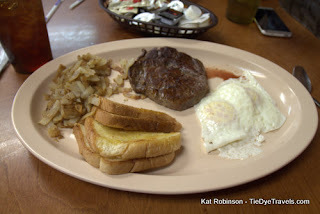 But there’s a heck of a lot more on the menu, including barbecue and catfish and chicken fried steak, sandwiches and burgers, quail and country ham... and in the mornings, a breakfast that will stick to your ribs. In fact, the steak and eggs served up for breakfast are certainly skillet-licking good. Gene’s catfish has also become legendary, with its substantial cornbread coating and thick fillets. 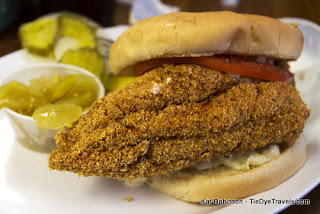 Nothing but American-grown catfish here. 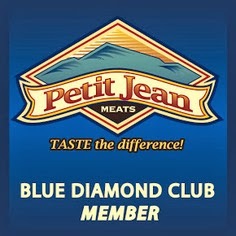 You can get it on a platter or in a sandwich, and it’s always fried up fresh when you order it. 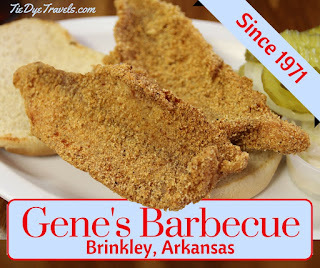 Gene’s is also the site of a famous Arkansas tradition. On Sunday nights, if you are lucky, you may be invited to a men-only free dinner of fresh caught game fish and fresh harvested wild game. 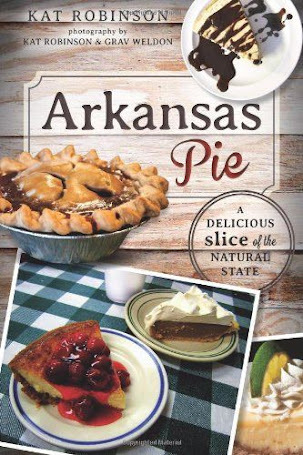 It’s illegal to sell crappie, wild venison and the like in Arkansas, so this meal is free. 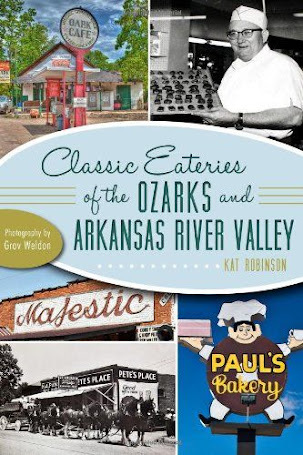 Though I have not been able to enjoy this repast myself, my friend Rex Nelson has often been invited, and you can read about his experience here. There's also a Southern Foodways Alliance documentary about that dinner. 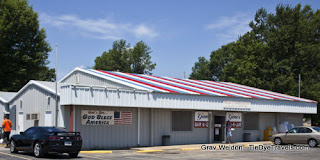 Gene’s Barbecue is open every day, even Christmas and New Year’s and Easter. 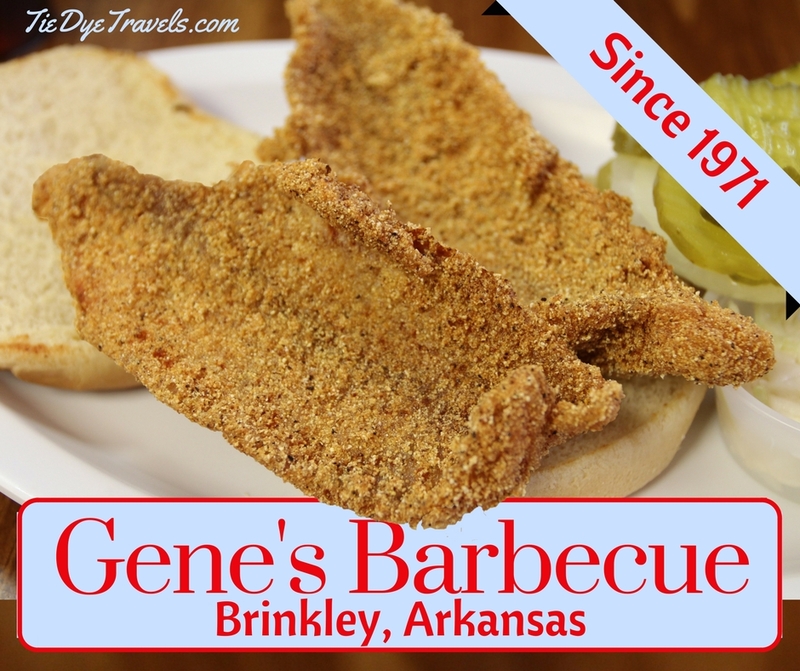 You’ll find Gene’s at 1107 Arkansas Highway 17, a couple blocks south of Interstate 40. (870) 734-9965. Hey Kat! Believe it or not, this made me miss Monroe County... just a little, mind you. 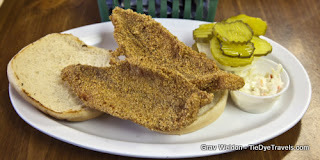 ;) It's been a really long time since I had Sweetpea's catfish!